We produce a huge range of promotional stickers and labels for our retail clients – all shapes, sizes and types. In fact, almost any sort of self-adhesive sticker you can think of including price point stickers, was/now/save stickers, sale and discount stickers, special offer stickers, seasonal promotions stickers, product labels, opening hours stickers, health & safety stickers, privacy stickers, logo stickers…you get the picture! 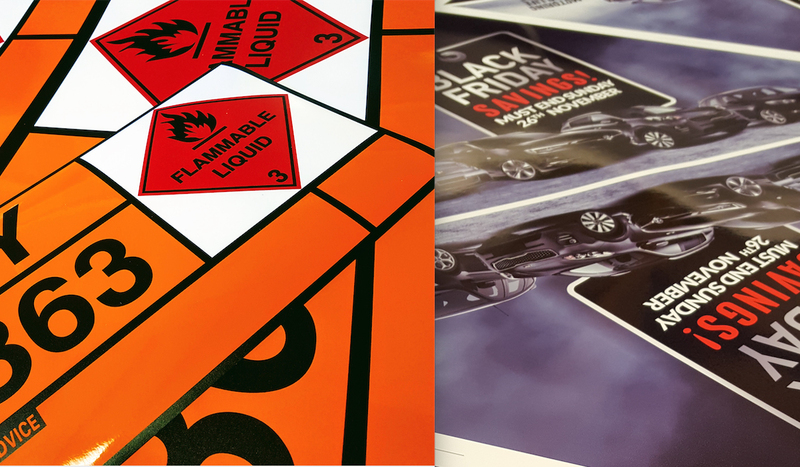 All of our stickers are printed using the highest grade inks and vinyls and what’s more we offer a selection of versatile adhesive options ranging from permanent high tack to easy-to-reposition self-cling and everything in between. Whether you need stickers for your products, packaging, windows, walls or doors don’t hesitate to get in touch, whatever it is we’ll help you put a top quality sticker on it!